Clean car wash towels can be what makes or breaks a car wash. Dirt and grime from one part of the car can easily be transferred to another area, causing scratches or unsightly smudges. Smudges can be fixed, but the scratches may be permanent. The best solution to this issue is to use clean towels. Every time. Car owners should have one stack of towels for interior use and another stack for exterior use. They should always remember to keep them separated. A color-coded system may be the most effective way to avoid costly mistakes. Interior towels can pick up sand particles, crumbs, liquid spills, and sandy slush. Depending on the geographic location, and time of year, these towels can also expose salty residues from the roads. Exterior towels often pick up sand and salt, but also reveal air pollutants, as well as bird and insect droppings. In addition, exterior towels come in contact with waxes and sealants. 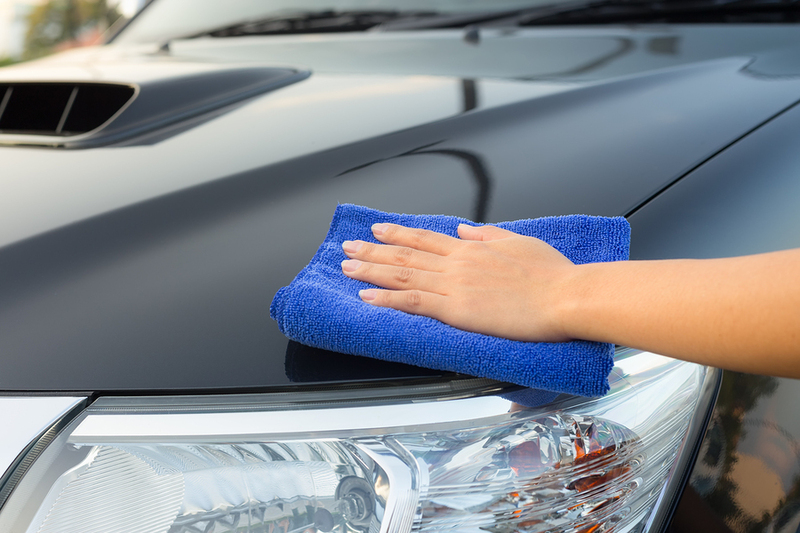 These products, while desired for the paint job, can transfer unwanted smudges or shine to the interior of the car, making it difficult to remove later. Proper attention is essential. The act of washing and drying towels is no different. It may be easier to dump all the towels into one machine, load the soap, and press start. In reality, this may transfer residues from one type of cloth to another. Laundry detergent can only do so much. The rest depends on the care taken to separate exterior towels from interior towels, and indeed materials such as terrycloth from microfiber, too. Terrycloth usually creates lint when washed and dried. This lint will stick to microfiber material and create uneven surfaces. High heat is also detrimental to microfiber. The fibers will melt, stick to one another, and block proper absorption. Suffice it to say, cars travel through some messy situations, and they can pick up grime quickly. They can also transport germs and bacteria, especially when in urban areas. Using a clean towel for your car makes sense—just like using a clean towel for yourself after you shower makes sense. Scratches, grime, and missed residues are much less likely to detract from shine if clean car wash towels are separated by their intended type of application. Matte finishes on cars are also making waves. These finishes are different from the clear top coat on most cars, and they can be damaged very easily. Microfiber towels are the safest cloth to use. Proper care and attention will ensure a clean car without the damage. Mr. Clean Car Wash’s car washes get the clean you need without the hassle. Visit the nearest location today, and don’t forget your coupons!